Trying to find unique Rottweiler dog names for your new dog or puppy? 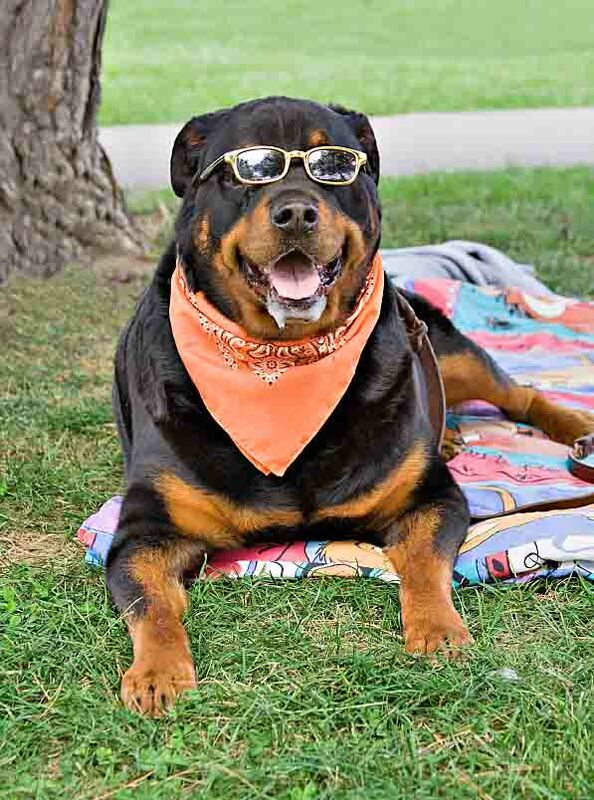 We are pleased to offer a list with unique Rottie name suggestions to help you choose a great one for your pal. Enjoy! 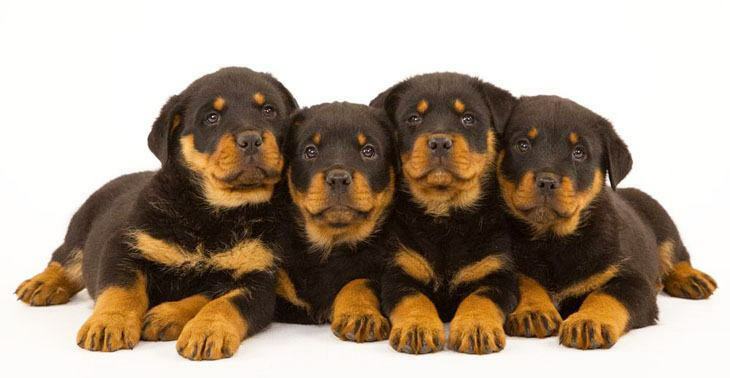 Rottweilers have rugged and powerful builds with thick, glossy straight coarse coats. Their coats are flat and black with rustic or tan markings on their cheeks, leg, muzzle, under the tail, chest and above the eyes. The breed has broad, thick heads with rounded skulls. Their eyes are dark and almond-shaped and often have a friendly or stern look. Most of these dogs are naturally drawn to children and sometime exhibit patience and love to them. However, just like people, each Rottweiler has his own personality and patience levels. Therefore, you should never leave a child alone with any Rottweiler not even for a short moment. As most young children do not have the right training or knowledge to understand and know when the dog has reached his tolerance to stop. Furthermore, they do not understand a child's behavior and any little thing that the child does and your pal thinks is threatening can make him a bit aggressive. This goes for every breed and not just this one. Balboa: The last name of Sylvester Stalone in the Rockie movies, this choice is perfect for any outstanding and exceptionally tough Rottweiler. This pooch will be a bit prickly at times. Bowser: This is a popular pick for dogs. It is a unique Rottweiler dog name and one that will never go out of style. Perfect for a pooch like a Rottweiler; he is a good looking canine. Bronx: A good choice for a massive Rottweiler with a bulky body and coarse thick coat. This boy is the king of the house and will have a daredevil attitude. He will never seem to grow old. 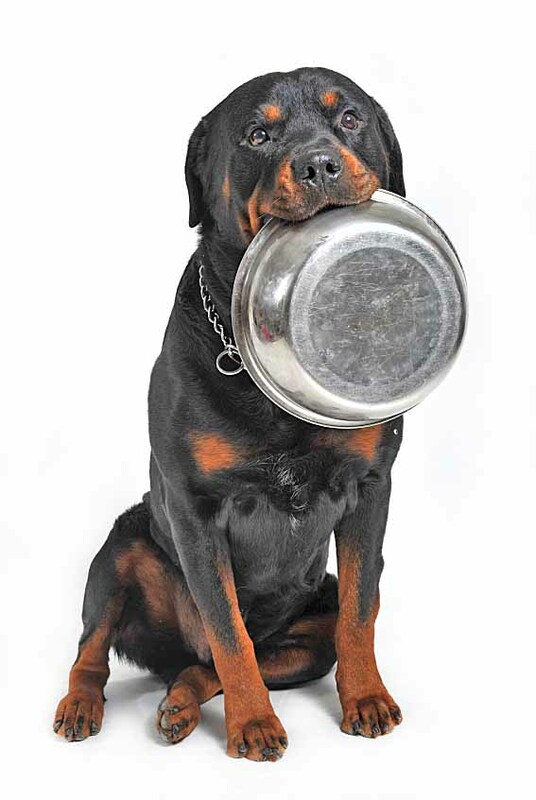 Cajun: This unique Rottie name is perfect for a canine with a healthy appetite. He will greet you each day as you return home, and will have the power and presence of royalty. This majestic and proud Rottie is normally a good guard dog and family pet. Chubbs: Meaning rounded and plump, this unique Rottweiler dog name is great for either a boy or girl from a large, protective breed. If danger arise it will place himself in harm’s way to ensure your safety. Cordelia: Cordelia means 'jewel of the sea' this choice works best for a pup with a mixture of everything. She is confident, protective and loves to be active. This title is also associated with brilliance and value. Czar: Fitting for a Russian owner's Rotti, this makes a memorable and unusual Rottweiler name for your closest pal. No other would want to meet him on a dark night, because he is Russian, and he is the Boss. Kenda: A wonderful choice for your female Rottweiler dog. The title is English in origin and means “A child of the water." This pooch enjoys the water and is all muscles; a canine of any breed, size, color, or personality will love this choice. Nera: Meaning "Nearer" this cute name is great for a girl that always wants to be near you. A top pick for a Rottweiler that is inseparable from your family, even if you just got her. Tonka: This Rottweiler dog name makes a good choice for a strong and tough friend, this canine is invaluable to you. Nothing scares him, not even a trip to the vet. Jalapeno: Perfect for a Rottweiler with a hot personality. Jalapeno will spice up your life with his hot yet cool personality. He will have a sense of maturity and wisdom about him; a good idea for a Japanese owner's dog. Zeus: After the Greek God, who is "Father of the Gods" Zeus will have a quite noble personality. He has the aura of a leader and is powerful, alert and a very good listener. He is an intuitive and smart and can be well trained if given the opportunity.